Uglyworld #1731 - Why Nots? - (Project TW - Image 309-366), a photo by www.bazpics.com on Flickr. 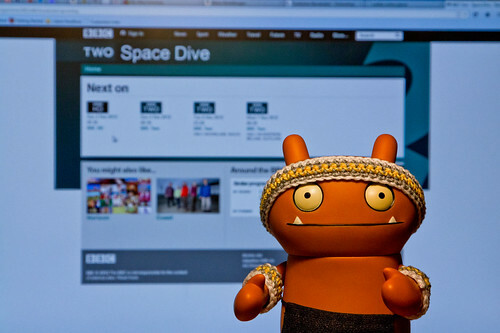 Wage isn't the most amused this evening at the fact that we don't have BBC television channels over here in Germany, as he really, REALLY wants to watch the Space Dive documentary which is on BBC Two this evening in the UK. Me: "As the BBC is funded from UK television licenses Wage, we don't live in the UK"
Me: "As I work here in Aachen, Germany Wage, work is what pays for your cookies, not for license fee that goes towards the BBC channels"